Today is the official start to summer vacation! I'm excited about sleeping in until 8am. My kids are excited to play instead of school work. But we all can agree on one thing; we can't wait to be outside this summer. It's my way of getting more active while doing something I like. 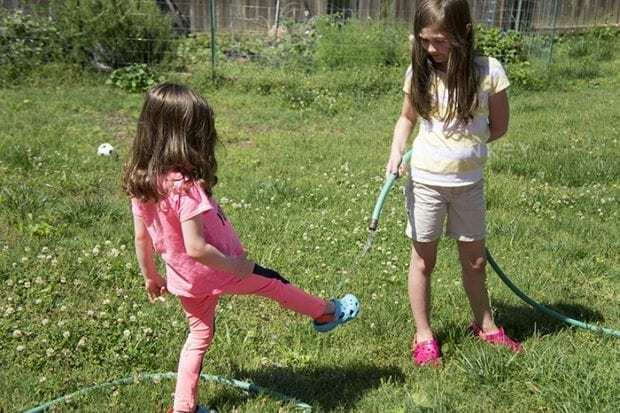 I teamed up with Zappos.com and Crocs to gear up my family for our summer adventures. I let everyone (except my husband) pick out the shoes they wanted from Zappos. I wanted my husband to have a specific Croc to try out this summer, but he only got a color option. He does a lot more outdoor activities than I do because I'm normally the one watching the kiddos. So I got him the Crocs Swiftwater Leather Fisherman to test up on his most recent fishing and kayaking excursion. I'm not going to lie, when I told him that I was getting him some Crocs on Zappos he was like, “Nope, I don't want 'em.” I explained to him that these were not your average Crocs and that he will be pleasantly surprised, and I was right. (Take it in honey;) He loves how light and comfortable they are, water also sides through them making them quick dry. The girls got to pick our what they wanted as well. I told them that we should get some good play shoes as well as some cute dress shoes. 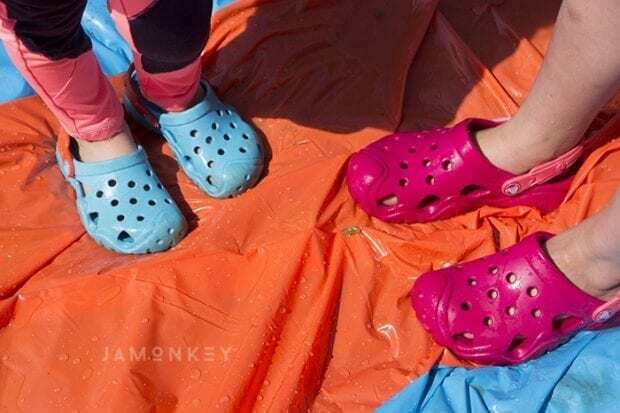 So we got the Crocs Kids Swiftwater Clog in blue and pink (which you can see at the top of this post). These are perfect for playing in the yard with their water toys or going to our local park that also has a beach to swim. Super easy to clean also. These run a little big, so I had to return my older daughters shoes for a replacement. I had to send back three pairs that didn't fit, and I can't believe how easy it was. Zappos makes returns super easy, I just printed the label and gave the shoes to my local UPS store ( I didn't have a box to send them back) and they were on their way. I got me refund back fast and was able to order the replacements right way. It's amazing to me how much Crocs have changed over the last few years. They offer such a variety of styles now. 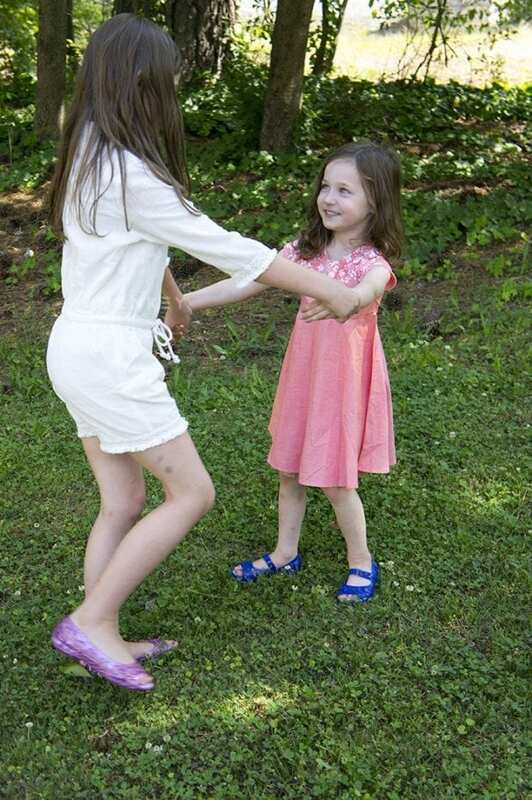 While their play shoes are more like the original Crocs, their dress ones definitely are not. The girls picked out the Crocs Isabella Jelly Flats in toddler and little kid. These shoes are so adorable. The toddler ones have butterflies on them while the little kid ones have flowers on them. I decided to splurge on myself also by getting a pair of Crocs Isabella Sandals in my favorite turquoise color. 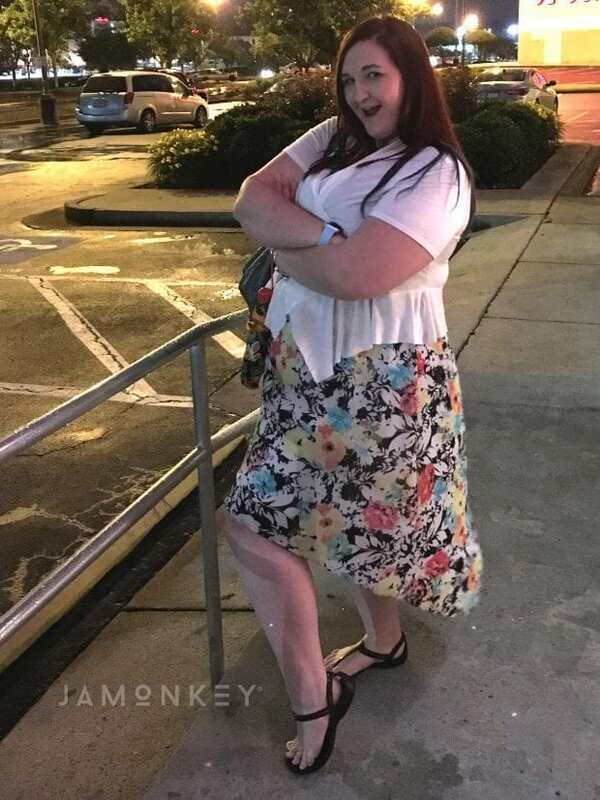 I also found a cute pair of black Isabella T-Strap sandals that I wore for a night out with my girlfriends. Take a good long look at them, because my dog ate them the very next day. I'm so bummed out too because they were crazy comfy and cute. Everyone needs a good pair of black sandals because they go with everything. We did a good job picking out shoes for the summer time. We needed them since my new puppy keeps eating all our shoes. I need to figure out a way to keep him out of the shoe bin. Zappos made it super easy to buy, return, and exchange our Crocs. I'll be using them for shoes again.